The Con Dao (Côn Đảo), an archipelago of Ba Ria – Vung Tau (Bà Rịa – Vũng Tàu) province, is considered as one of the most mysterious islands in the world. Con Dao has the most beautiful and untouched beaches in Vietnam and on the planet. Used to be known as political prison in the past, nowadays, coming to Con Dao, besides its renowned historical landscapes, travelers will also be surprised at the splendid beautiful of the island. Con Dao is the largest island in the chain of 15 islands as well as islets. It is ringed with lovely beaches, scenic bays, coral reefs, and partially covered in thick forests. There are a variety of activities for tourists to take part in Con Dao, be it diving, hiking, and exploring some empty coastal roads as well as deserted beaches, and much more. The island has pristine tropical coastal regions with long white sandy beaches together with a high-end diverse ecosystem of marine. Used to be known by the Western sailors in the past, up to now, this mysterious island turns into a famous travel destination. From the so-called “living hell on earth” that was controlled by the French colonialism and American imperialism, Con Dao rapidly became a charming destination for tourists worldwide to explore. Now, you may wonder what attractive features about Con Dao islands are, right? Check out this list of 10 out of most worth-visiting sites and attractive features of Con Dao Islands right away! Talk about attractive features of Con Dao, maybe, it is hard to overlook beaches. In fact, beaches in Con Dao Island are scattered in various areas. Each of them has specific beauty appealing travelers. These beaches are all pristine and have not been impacted by the tourism development of Con Dao. Among beaches in Con Dao, the most well-known are Dam Trau (Đầm Trấu) Beach, Lo Voi (Lò Vôi) Beach, Suoi Nong (Suối Nóng) Beach, and so on. Such beaches welcome travelers, both domestic and international, to travel at any time throughout the year. Situated in the center area of Con Dao, An Hai (An Hải) Beach possesses a white sandy beach with turquoise and cool waters. The beach is an ideal attraction in Con Dao for travelers to explore landscapes and relax in the island. It takes approximately 10 minutes to approach the beach from the center area of Con Dao. The beach has calm waves and crystal water, which is very ideal for relaxing and swimming. 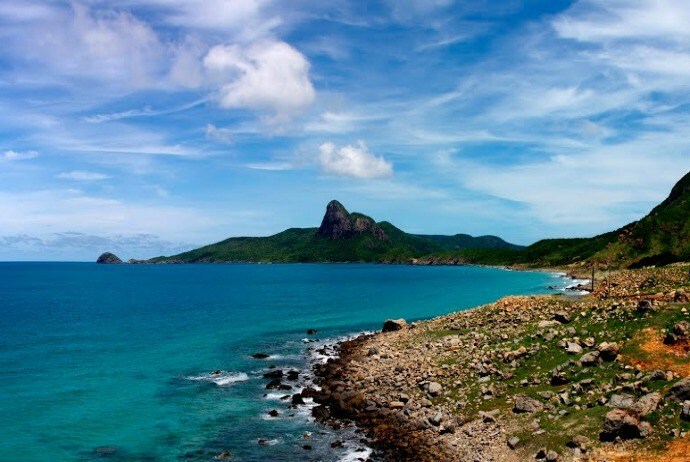 In addition to An Hai Beach, Lo Voi beach is another attractive beach in Con Dao you can visit. Located at the end of the center of the district, Lo Voi beach has a favorable location plus with unspoiled beauty. The beach has clean, calm and clear seawater, dotted with green trees that silhouette to the beach. Those people who love picnics, then this beach is ideal. For those who want to relax after a long day of exploring the island, Nhat Beach (Bãi Nhát) is a good option which just appears for several hours each day as the tidal level. Other time of the day, the beach will be submerged in the water. 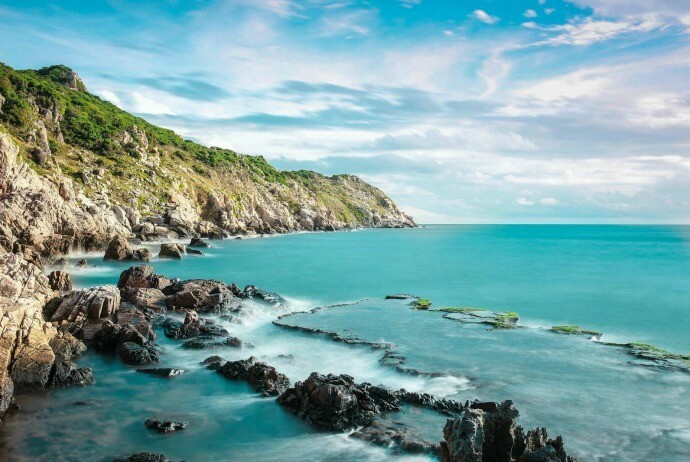 Another suggestion when it comes to the most charming beaches in Con Dao Islands is Dat Doc (Đất Dốc) Beach, which is situated in a beautiful cove. Containing a kilometer-long crescent of pale and being backed by the green lush hills, this beach is perfect for snorkeling, swimming and other beach activities. When it comes to beaches in Con Dao, it is hard to skip Dam Trau Beach, which is home to stunning sceneries of smooth white sand that stretches along the bottom of all-shaped cliffs. This beach is approximately 15 km from the town of Con Son (Côn Sơn). The beach is considered one of the most beautiful beaches in the island. The beach has more turquoise seawater than other beaches. Endless lush forest and azure sky blend with the color of the sea create breathtaking scenery of the beach. From Dam Trau Beach, tourists could reach Suoi Nong Beach by walking on foot through the short road. The Suoi Nong Beach has unspoiled beauty because there are not many people know about it. Having a beautiful look, this beach is like a vivid picture of white sandy beach and rare mangrove ecosystem. Con Dao Beach attracts a large number of tourist just because of its pristine beauty, but also by different types of tourism services and activities from budget to luxurious restaurants, resorts, hotels, etc,… inspiring the discovery desire of travelers. The next attractive feature of Con Dao is the notorious Tiger Cages which obsessed a lot of Vietnamese people in the past due to its fierceness. So, what are tiger cages? The notorious cells were established in 1940 by the French in order to incarcerate about 2000 Vietnamese political prisoners. Containing 120 chambers having ceiling bars, where the guards poked at the prisoners like tigers the zoo. The prisoners were hit by the sticks from above and even sprinkled with water and lime. These tiger cages were constructed away from the major prison, and just accessed by the alleyway. The cages remained unknown to the whole world till 1970 when Tom Harkin, a US congressional aide visited the town of Con Son and saw evidence of the brutal maltreatment of prisoners that he encountered there. Harkin then discovered the tiger cages behind a garden, and took photos of t he prisoners and the cells inside. These photos were issued and published in July 1970. This is the largest among 11 jails on Con Dao, dating from 1862. There were thousands of prisoners held in Phu Hai Prison, with about 200 ones crammed into each imprisonment building. All prisoners even were kept naked and connected together through a chain in rows with a small box that served as the toilet for hundred people. The prison is a large complex in which criminal and political classes were blended together. “Solitary” areas where prisoners reckoned to be especially dangerous consisted of 63 inmates, grouped together tightly that no space were left to lie down. The church of the prison dates from the U.S era, yet was never used. Some Vietnamese prisoners in 20,000 ones die in Con Son and 1994 of the graves could be seen at the Hang Duong Cemetery, situated at the eastern edge of this town. Just 700 of these graves carry the victims’ names. 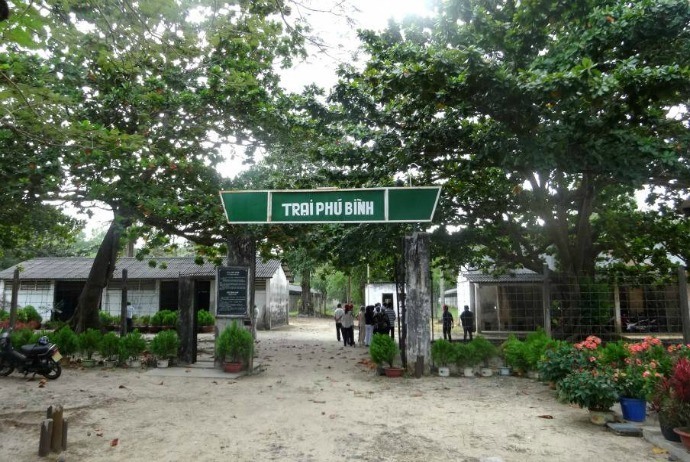 The most famous heroine of Vietnam is Vo Thi Sau (Võ Thị Sáu) (1933-1952) was entombed here, who was the first woman that was executed by the firing squad in Con Son in 1952. Nowadays, the pilgrims visit here to burn incense and place offerings at the tomb, such as combs, mirrors, and lipstick. You might encounter meal of pork and sticky rice and fruit. Most famously known as a tiger prison, Phu Binh Camp was initially called Camp 7 before the Paris agreement. 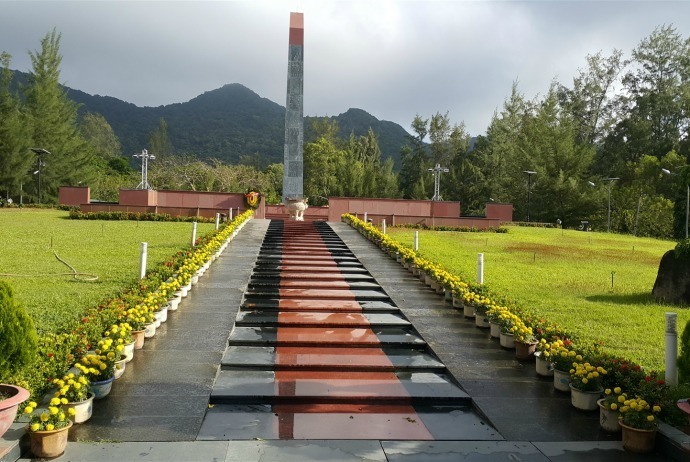 Tourists once visiting Con Dao could not miss this site to ascertain about the war crimes. This camp steadily becomes one of unique tourist attractions in Con Dao that allure a large number of tourists. 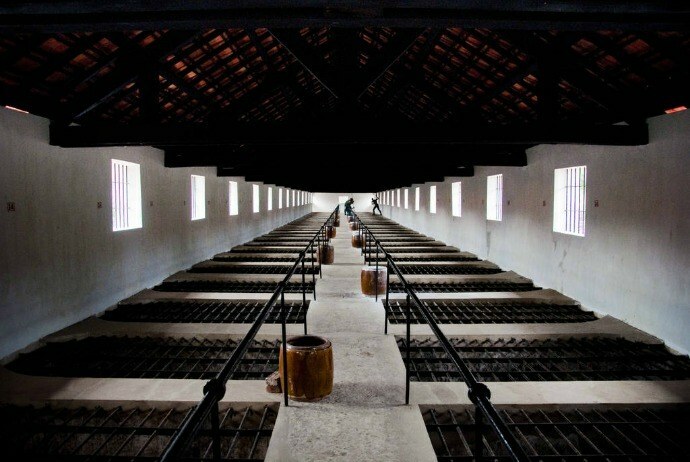 Having 9630 detaining chambers plus with 504 tiger cages, the camp features spine-chilling history. The cells in this camp had roofs of corrugated-iron. Despite the initial structures still remain, there is not much left to see these days. Maybe, the best island to visit all year round is Bay Canh which possesses lovely beaches, mangroves, old-growth forests, coral reefs, and seasonal sea turtles. Bay Canh Island is the second largest island among Con Dao islands. This island is a place where sea turtles choose to spawn the most in Vietnam. The whole island is covered by primeval tropical forest, with a wide variety of animals and plants. Coming to Bay Canh Island, tourists will have chances to explore the mangrove ecosystem, swim, and contemplate coral reefs. The coral here is very diverse in terms of coral plate types belonged to the Red Book of Vietnam. 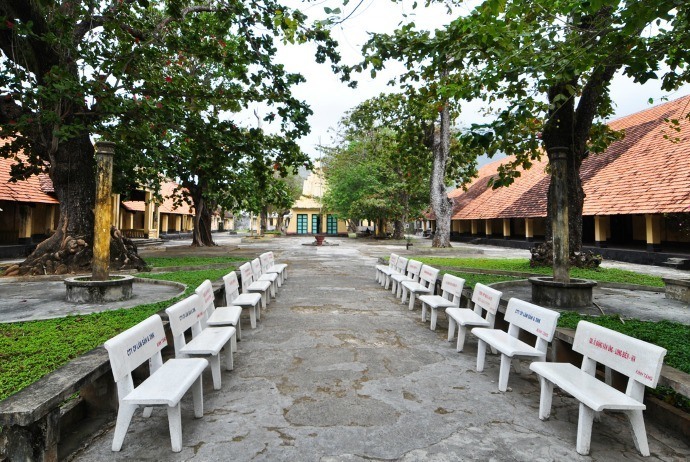 Situated in the former residence of French commandants, this museum has many exhibitions on the Vietnamese resistance against the colony of France, and the treatment of the political prisoners. Also, you can find a painting of the heroine Vo Thi Sau who faced death with the head held high and some wildlife like lizards, monkeys, and boas. Con Dao is home to a lot of scared pagodas and temples. The most famous one is Nui Mot Pagoda, aside from Phi Yen Temple, located near Co Ong (Cổ Ống) Airport and built to commemorate Mrs. Phi Yen (Phi Yến) – the wife of the King Nguyen Anh (Nguyễn Ánh), who swore suicide at 25 years old due to the frustrations caused by the enemy. 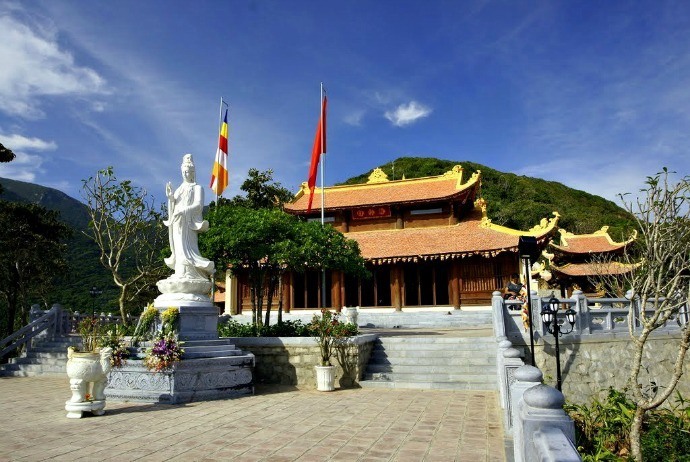 In regard to Nui Mot pagoda, it is situated in the center of the district, and reckoned as the most impressive Feng Shui pagoda of the country because it possesses panoramic view to the island of Con Dao because of a high mountain terrain. 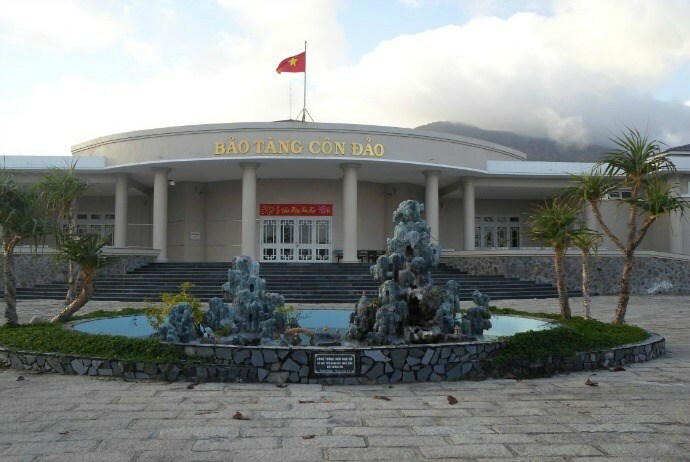 The museum is a renowned historical relic in Con Dao islands, consisting of a lot of documents and artifacts reflecting a heroic stage of Vietnamese people and accusing extremely brutal tortures of the imperialism and colonialism. Six Senses resort has turned what used to be regarded as “hell on earth” – Con Dao into a tourist paradise. 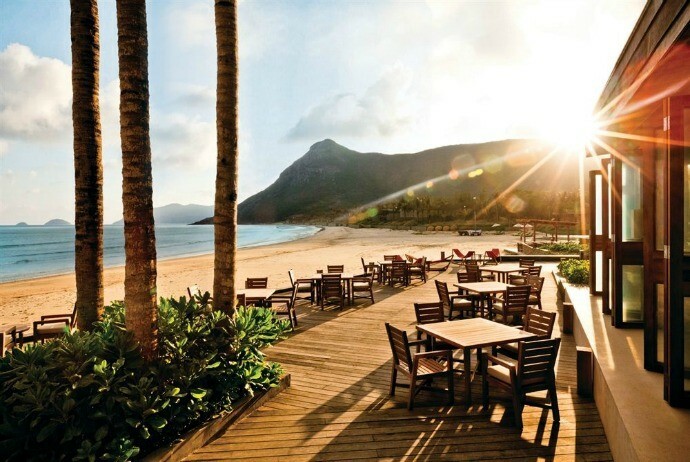 Six Senses is the first 5-star resort in Con Dao with 50 wooden cottages, located along the 1.6 km long coastline. Being built in an area with remarkable natural beauty, the luxurious villas here have private pools, creating an infinity feeling and large views over the Sea. The resort boasts a private beach area, daytime spa, tennis courts, water sports facilities and a gym. In addition to luxurious interiors, the villas all have a refrigerator with famous wines. For convenience, tourists can enjoy the butler service in their rooms at any time. Each villa of Six Senses features a large dining and reception area. DVD players, flat-screen TVs, and free Wi-Fi are also equipped. Six Senses Restaurant serves meals cooked with organic ingredients. Tourists can choose to eat in the restaurant, at the private beach area or in the comfort of their own villas. In 2010, the Six Senses Resort won the award of the world’s most outstanding design and construction works for the kind of small hotels in International Commercial Property Awards Awards 2010 funded by Bloomberg Television (US).